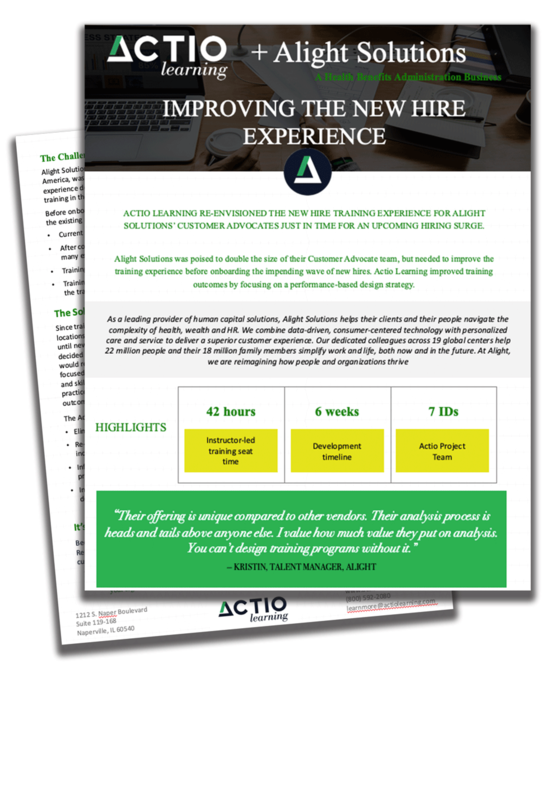 Actio Learning + Alight Solutions Improve the New Hire Experience. Alight Solutions provides benefits administration and cloud-based HR and financial solutions to help clients and their people navigate the complexity of health, wealth and HR. With 22,000 colleagues across 14 global centers, they deliver an unrivaled consumer experience. Alight has been operating for 25+ years and is the former outsourcing business of Aon plc. Read the full Case Study by downloading below.